The culture of chance, the search for a vain hope in the goddess of fortune and the multibillion dollar industry have deeply changed our neighbourhoods and our cities, transforming Italy in the largest gambling den under the open skies of Europe in these past years, and the world's third largest in terms of the amount of money being burnt this way. These “thieves of hope,” as Pope Francis has recently defined them, are moving a turnover of around 90 billion Euros per year in Italy, a sum that can easily arrive at 100 billion if we include the black part of the industry, too. To understand the scale of the phenomenon it is enough to think that the last stability manoeuvre of the government comes “only” to 36 billion Euros. In Italy there are about 600,000 slot machines - in the United States 800,000. The problem is that we (the Italian population) are 60 million while the Americans are 360 million. How long does it take to play the worth of that figure? An estimated half billion hours, about 70 million working days, equal to one third of all the holidays of the Italians. Gamble in Italy has become, by deliberate choice of governments, a veritable bottomless pit that draws a growing number of citizens into itself, including the underaged. Of course, gambling addiction, pathological gambling is around the corner – addiction that leads to ruin: families break up, assets are squandered, jobs are lost and one is led to commit crimes and then die by suicide. So Italy has become a fertile hunting ground for unscrupulous multinationals. What for? For the money, of course. Taxing gambling, even if only a little, means for governments to have a steady stream of income on which to rely. It doesn't really matter if that money is taken in at the cost of the families, from the lives of the most fragile and vulnerable, or if the social costs arising from gambling are more than the tax revenues made from it. Therefore it is the citizens who should intervene, mobilize and choose to take care of their city and of those who have succumbed to the culture of chance. The Economy of Communion generates and promotes a vision of economic relations in which the market is a place of development, mutual help and civilization, in total contrast with the culture of gamble. Slotmob is an initiative born from this perspective, a campaign of grassroots mobilization. For some time we had been thinking together with Luigino Bruni and Leonardo Becchetti about the issues of civil economy and communion, the virtues, the leadership of the consumers, the social role of the market, and so on. We wondered, at some point, what role could the “vote with your wallet” strategy take up in fighting the culture of chance. Hence the idea: let us organize events in cities, in which, in one or two hundred, we would go all together to have breakfast or have a drink at the same bar, a bar of course, that by an ethical choice, said no to income deriving from gamble. We would do all this to raise awareness of the issue, but also and above all, to reward the operators who have moved against the current by their unconventional choices. The idea was born in June 2013 and there were supposed to be three Slotmobs: in Cagliari, Milan and Rome. 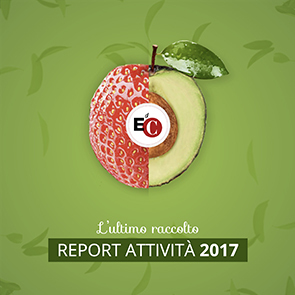 To date there have been 73, throughout Italy, triggering a nationwide network of over 150 entities, involving many more on the local levels. The Slotmob campaign is a polycentric thing; of course, there has been some coordinating work in recent months, and here I am thinking of the Città Nuova (New City) magazine or the young members of “Economics and Happiness”, but basically the initiatives come from below and on a local level. Associations and different realities that come together, identify a bar and organize a party, with moments of depth and playing games. This is why table football became instantly one of the symbols of the campaign, as it is a par excellence relational game. Slotmob had a strong media coverage, has helped to change policies and decisions formerly favourable to gamble multinationals but, more importantly, it changed the way thousands and thousands of people look at it today: the way they walk into a bar and check for the presence or the absence of slot machines and perhaps also act accordingly. Another “side effect” is the social infrastructure that helped the formation of a valuable network of relationships between organizations and groups that were mobilized and began working together in the cities; and this network will be there even after Slotmob, and will be available for new initiatives of commitment and mobilization..
Wecoop is a board game born in Sardinia from the collaboration of the University of Cagliari, through the SmartLab spin-off, with the Solidarity Consortium, the Confcooperative Sardinia and a group of young economists, mathematicians, educators and designers who have conceived the idea and brought it to realization. The game is a company simulator that incorporates a new economic vision that is civil and of communion. The goal, in fact, is not to earn more than others, but rather to gain “with” and “for” others. With his choices the entrepreneur must not only contribute to the development of his own economic activity, but also to that of the area where he is active. At each stage of the game players need to decide about the emerging opportunities, dilemmas and unexpected events; they have to build a reputation, make investments, be in compliance with the tax authorities, enter into alliances with competitors, build networks and, in the end, there will be a winner, but everyone will have competed and contributed for the development and growth of their entire area. Wecoop is a game, but also a tool to spread a new economic culture in a light and entertaining way, one that is based on the principles of civil economy and the real experiences of cooperatives. Wecoop is the allegory of a different economy that is responsible and civil, in which the market can be a place of not only economic but also human growth.